Your rent is due on the first day of the month. That is written into all my leases. I usually don't nag my tenants for the rent until the fifth day of the month. As a result, some people mistakenly assume that the rent isn't due until the fifth or that there is a five day grace period. There is no grace period on the payment of rent, like there is on credit card statements. If I receive your rent after the first of the month, its late. That is not just the way I do business. That is the way rent works everywhere. If you have a checking account at nearly any major bank in California, you can pay your rent without having to write a check every month. Most banks have Bill Pay programs that allow checking account customers to pay recurring expenses, like rent, automatically. Some banks simply transfer funds from one account to another. Other banks print and mail actual checks. A few banks charge a fee for using their Bill Pay service, but most checking account customers at Bank of America, Wells Fargo, Citibank, and Washington Mutual qualify for free Bill Pay. Check your bank's web site for more information about their Bill Pay service. Last month, I saw a hibachi grill on sale at the Target store in Albany that caught my eye. There was a photo on the box showing the grill sitting on a dining room table with skewered shrimp cooking on it. You should never do that because - you could die! Never burn charcoal indoors. It a fire hazard, and burning charcoal produces carbon monoxide gas. Every year, hundreds of people die in the U.S. from carbon monoxide poisoning. 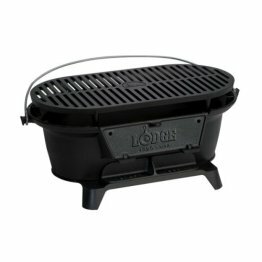 Never use a charcoal grill or propane camp stove indoors, and never use your kitchen stove to heat your house. Carbon monoxide is an especially dangerous poison because you can't sense its presence. Carbon monoxide is odorless, colorless, and tasteless. It seems like nearly every apartment built between 1950 and 1980 had "cottage cheese" ceilings. You have probably seen these ceilings yourself from time to time. They look like they are covered with a thin layer of cottage cheese. They are also known as "acoustic," "textured," or "popcorn" ceilings. When I first started going to landlord trade shows back in the 1970s, the "experts" on apartment remodeling told me over and over that I just had to have my ceilings "cottage cheesed," but I just wouldn't do it. I didn't like the look of cottage cheese ceilings, and there was something about this product that made me suspicious. It turned out that my suspicions were justified. Although we didn't know it at the time, this "cottage cheese" was made with asbestos. Some cottage cheese ceilings were 50% asbestos. Over time, cottage cheese ceilings become dry and brittle. When that happens, the stuff breaks up, releasing a shower of microscopic asbestos particles that fall on everything and everyone in the apartment. Sounds grim, doesn't it? Many cities now require landlords to remove old cottage cheese ceilings, especially when they remodel their buildings. Removing cottage cheese ceilings is expensive. The work has to be done by toxic waste removal contractors. These guys work in "moon suits" and wear respirators. The cottage cheese they remove from old apartment ceilings has to be shipped to a toxic waste dump, and it costs around $1,000 per cubic yard to transport and dump this stuff. They still make cottage cheese ceiling coating, now asbestos-free; however, tastes have changed, and few people want it anymore. I am very glad I never got into that fad! THE $1,000 HOT FUDGE SUNDAE. 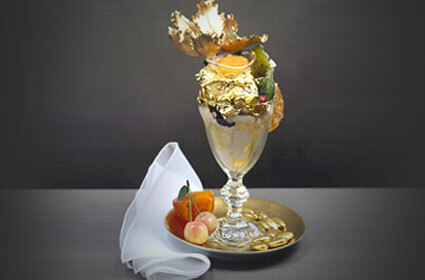 Serendipity 3, a popular restaurant on Manhattan's Upper East Side, charges $1,000 for their Golden Opulence Sundae. This sundae contains 5 scoops of vanilla ice cream, melted chocolate, chocolate chunks, candied fruit, and caviar. (Personally I don't think caviar sounds like a good sundae topping.) When you buy this sundae, the Baccarat crystal goblet and the 18-karat gold spoon are yours to keep. The restaurant also offers a $25,000 chocolate sundae. Serendipity 3 was closed in November 2007 by the New York City Health Department after the restaurant failed its second inspection in a month. A city health inspector found a live mouse, rodent droppings, fruit flies, and more than 100 live cockroaches in the restaurant. Serendipity 3 has since reopened, so bon apetit! It seems like they put the word "artisan" on nearly everything in gourmet food stores these days. They sell artisan bread, artisan wine, artisan cheese, and artisan chocolate. But just what does the word "artisan" actually mean? "Artisan" should mean that a product was handmade by an artist; however, that is often not the reality. A lot of food products that are labeled "artisan," including chocolates, are mass produced in big factories on fully automated production lines. The FDA defines and regulates certain words used in the food industry, including "organic" and "natural," but there is no legal definition of the word "artisan," so it can mean anything - or nothing. When some chocolate companies use the word "artisan," they just mean that the product is high quality, regardless of how it was made. When you see the word "artisan" on chocolate bars, the only thing that you can really be sure of is that they will cost more, and probably a lot more, than chocolate bars that don't have the word "artisan" on them. I now have Chocolate Chip Brownie Mix in addition to walnut brownie mix, both with a new chewier recipe. To make either mix, you need an 8"x8" square baking pan. Disposable aluminum pans work just fine. I do not make St. Patrick's Day or Easter candy. Have you ever noticed that unlike Valentine Day chocolate, Easter chocolate is usually very low quality? A lot of chocolate Easter rabbits and eggs are made out of imitation chocolate, also known as 'cocoa compound', and the ones that are made with real chocolate typically contain less than 30% cacao. I think this is because most Easter candy is eaten by young children, and children are not fussy chocolate consumers. When I was a kid, my least favorite Easter candy was Marshmallow Peeps. Does anyone eat them? I think parents put them in Easter baskets just for show. FREEBIE OF THE MONTH: CROCK POTS. Want a free crock pot? I've got 8 of them, all brand new. They range in size from 1 to 6 quarts. A crock pot is the easiest way to make pot roast or beef stew, and because a crock pot cooks so slowly, it makes cheap cuts of beef, like chuck and round, come out as tender as more expensive cuts. A crock pot is also the best way to keep food warm at a buffet dinner or at a party, and a crock pot is much safer than Sterno. Many years ago, an elderly friend of mine asked me what I wanted for my birthday. I told her I wanted a crock pot, and she gave me one. Her memory started going bad soon after that, and from that time until her death many years later, she gave me another crock pot every year on my birthday. I didn't want to hurt her feelings, so I never said anything about my growing collection of crock pots. Now that I am in my 60s, I wonder if I'm going to start doing stuff like that myself - you know - like giving crock pots to the same people every year. I worry that some day, while I am visiting my sister in Baltimore, I'll open a closet door and find it filled with crock pots, all of them labeled: "Happy Birthday Judy. From Mark." Fortunately, I'm not at that point yet.